Are you a fan of Chick-fil-A’s frozen lemonade? This copycat recipe will have you hooked. It’s a fun and easy summer drink to make for kids or for teens. Use your blender to make this homemade refreshing beverage for one, or make the whole batch and split it four ways. It’s summertime, and what better way to celebrate then to have a special treat? Be adventurous and learn how to make a copycat Chick-fil-A frozen lemonade. You might be asking yourself why should I want to make it myself? I’m glad you asked. First, it’s super simple, so you don’t need any special kitchen skills. 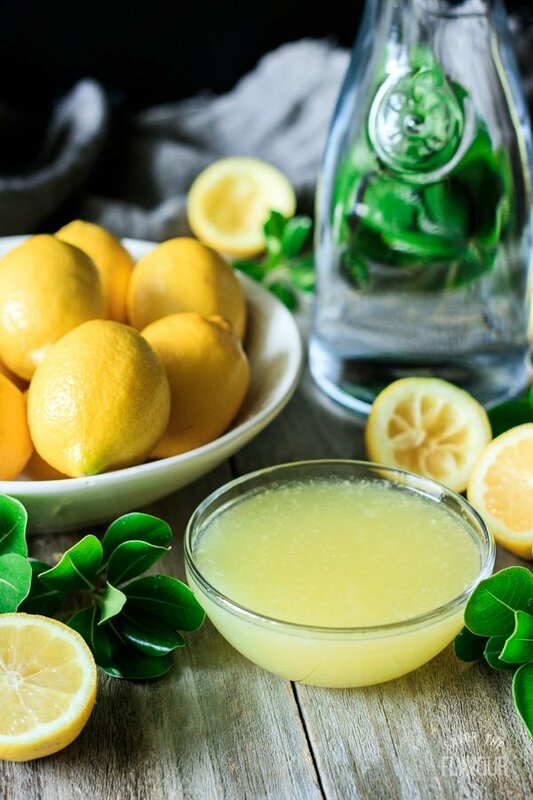 Plus, this recipe tastes better than the original because the homemade lemonade shines through, making this drink sweet, tart, and creamy. 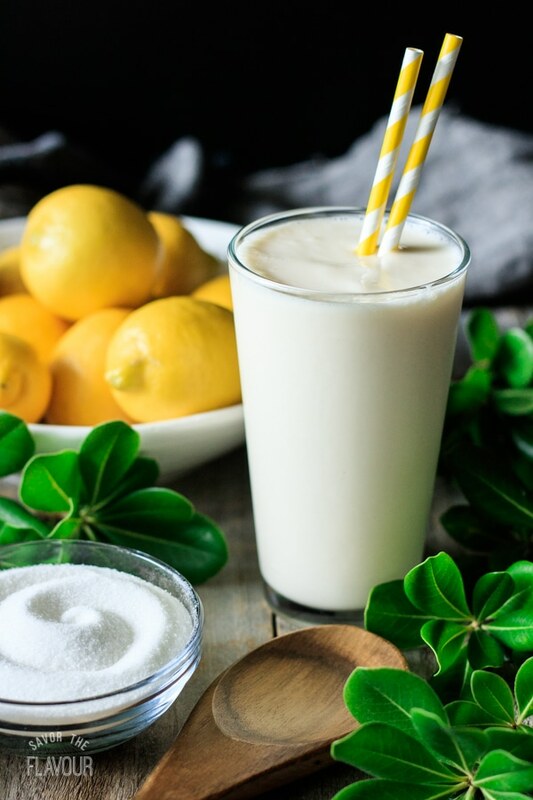 If you are a fan of lemon drinks or lemon desserts, you’ll love this frozen summer beverage. 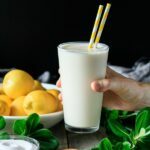 If you’ve never tried one because you don’t live close to a Chick-fil-A restaurant, then you’ll definitely want to continue reading to find out how to make this famous drink from Georgia. All you need is four ingredients and a blender, so let’s get started. Gather your ingredients. 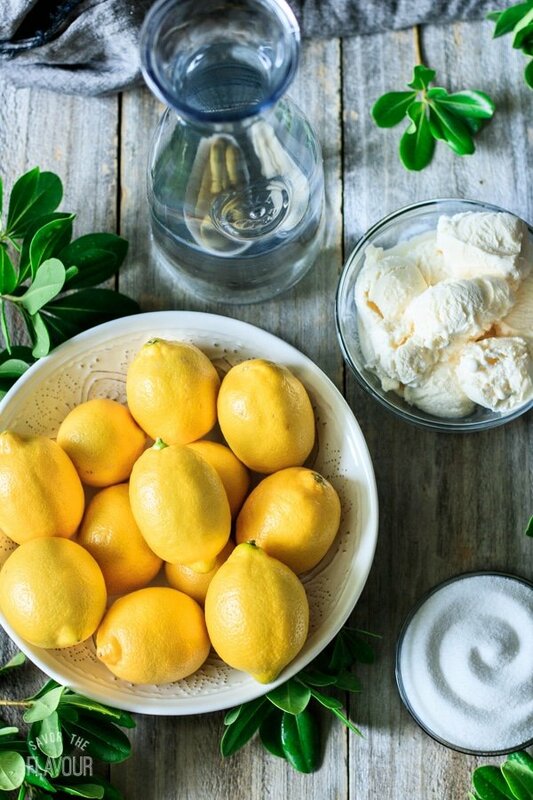 You’ll need 12 medium to large lemons, granulated white sugar, filtered water, and a good quality vanilla ice cream. The first step is to make the homemade lemonade. Hand squeeze those lemons to get some tart juice. Add the sugar and water, then stir until it’s well combined. Taste it: it should be tart. Resist the urge to add more sugar! Next, add the vanilla ice cream in the blender. You will want twice as much ice cream as lemonade, so the drink will be the right thickness. Blend for a few seconds, then stop to check. Does your drink pass the straw test? If the straw can’t stand up on its own, add more ice cream. Can you taste the tart lemonade? If it tastes more like ice cream, add a bit more lemonade. If done correctly, your frozen lemonade should look a pale yellow. Don’t worry about a garnish, it’s not necessary. Enjoy this refreshing beverage by yourself, or better yet, make enough to share with the some other special people in your life. They will love you for it. Don’t cut corners on the freshly squeezed lemonade. Substitutions will compromise the taste. Room-temperature lemons will yield more juice because they’re easier to squeeze. 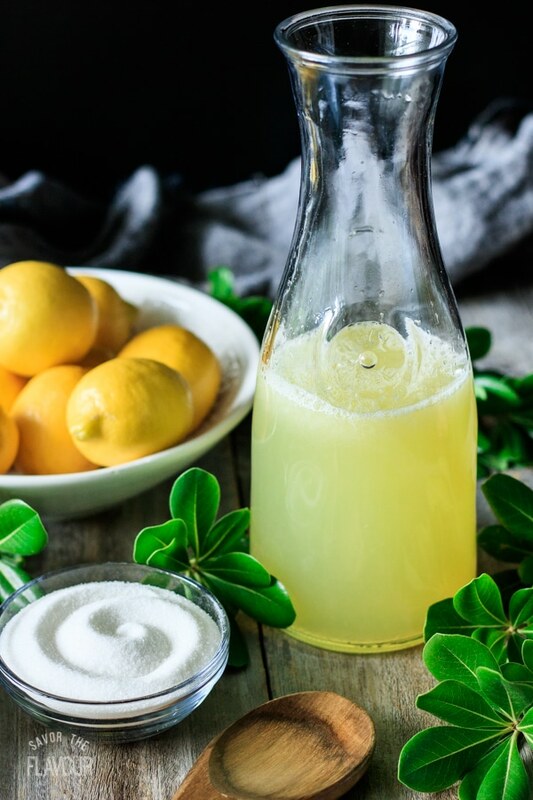 Resist the urge to add too much sugar to your lemonade; tart lemonade is the best for this recipe. Save the lemon rinds to make your garbage disposal smell lemon-fresh. If you liked this famous frosted beverage, you’ll also like our other fruity summer drinks. Simple Orange Creamsicle Float: a fun combo of an ice cream float and a milkshake. 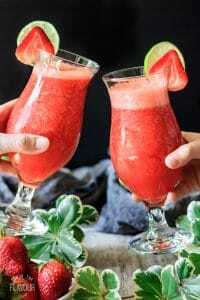 The Best Virgin Strawberry Daiquiri You’ll Ever Taste: a delightful frozen drink with a hint of lime. 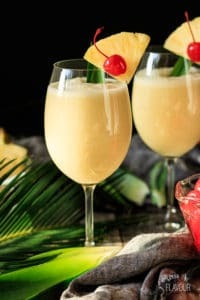 Non Alcoholic Piña Colada: you’ll be in the tropics with one sip of this refreshing drink. Let us know how your drink turned out by leaving a review after you make this super fun summer drink. Rinse and halve 12 room-temperature lemons. Squeeze the juice out of the lemons with a hand juicer. If needed, strain the lemon seeds and any large pieces of pulp out of the juice. Stir together the freshly squeezed lemon juice and the sugar in a large pitcher with a long-handled wooden spoon. Stir in the water, then taste. The lemonade should be tart, since the ice cream added later will sweeten it. Use the lemonade right away, or refrigerate for an hour until it’s cold. 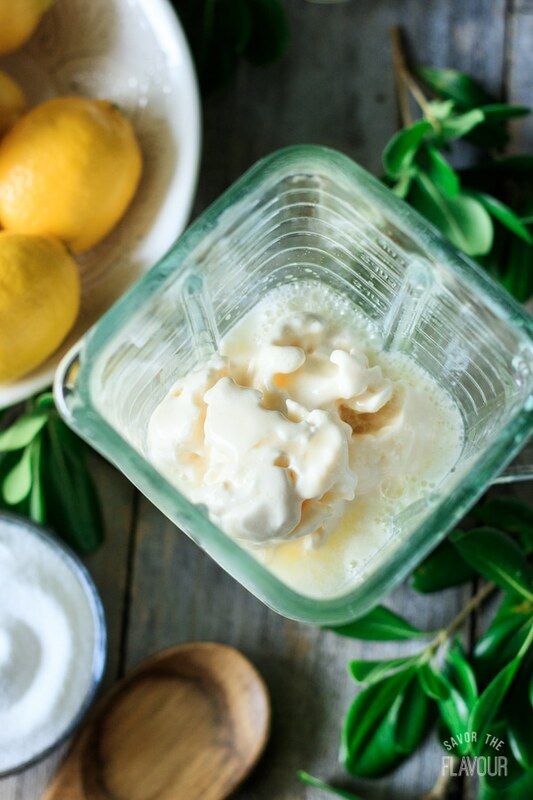 In a blender, add two cups of vanilla ice cream and a little more than 3/4 cup of the homemade lemonade to get twice as much ice cream as lemonade. Put the lid on the blender and blend for a few seconds, being careful not to overdo it. 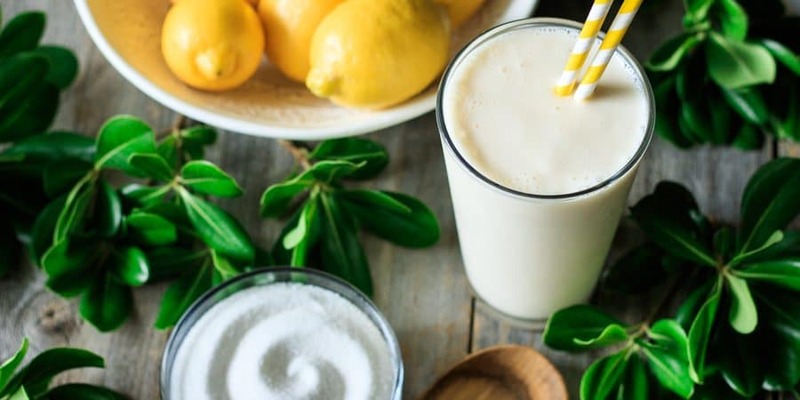 The drink should be a pale yellow and should be thick enough to hold up a straw, and should taste more like lemonade then ice cream. If necessary, add more ice cream for thickness, or lemonade for tartness. Pour into a tall glass and enjoy with a pretty paper straw. Repeat until all four glasses are made. If you only want to make one glass, cover the leftover lemonade and store it in the fridge. Make one glass at a time to get the thickness right. If necessary, you can freeze any leftover frozen lemonade. Just let it thaw for 20 minutes at room temperature, then stir until smooth.